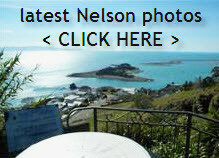 The Nelson region is known as having its own microclimate and thats what draws many new residents and the thousands who holiday here every year. An established settlement back in the mid 1840’s has developed into a cosmopolitan town with a vibrant arts / crafts scene. Hundreds of artists and craftspeople call the region home. You can see many of them at the Saturday morning markets. With many elevated areas around town there are plenty of places to see the views, and to buy properties that can take advantage of those beautiful sea and mountain views. A trip up to The Centre of NZ is not to be missed and affords a great view after a brisk walk. Most of Nelsons population, well 99% in fact, live within 5 kms of the coast, so water lifestyle activities and sports play a big part of living here. Both Nelson & Richmond have a varied and mixed shopping scene, with new entrants like Fashion Island alongside traditional shops who have been in Nelson for decades. There‘s no shortage of supermarkets, clothing shops, bookstores, shoe shops, etc in our town. Out in Richmond, the Richmond Mall is the biggest in the Top of the South Island. There is a smaller shopping centre alongside 2 modern super-markets in Stoke, a main suburb located halfway between Nelson & Richmond. Nelson is served by bus as the last train stopped here in the mid 1950s. Buses provide a land link to other centres too, but Nelson is well served by Air New Zealand. Nelson Airport, Airport of the Year in 2008 is the nation‘s 4th busiest airport and home base to the Air Nelson subsidary of Air NZ. The city has taxis, and tourist buses, like the red London Double Decker bus that operates mainly in Summer months, and many other varied ways of getting around. There is also a late late bus providing public transport after midnight. There are just too many to list, we really do have it all. For many years its been known that general Nelson/Richmond zone has one of the highest concentrations of cafes / restaurants / food outlets / hotel dining / etc per capita in New Zealand. We have over 50 restaurants, from Indian, Turkish, Thai, Chinese, Japanese, Italian, Greek, Mexican, Brewery Cafes, Wineries, specialist seafood, pizzerias, local & regional faire, hotel dining, along with plenty of cafes. There simply dozens and dozens, from waterside eateries to upmarket hotel bistros, it would be hard not to find a style, and price to suit any budget.